What do you do when you pass a Vietnam Veteran? We see them regularly. Many don’t hesitate to wear a baseball hat with their unit insignia or just simply “Vietnam”. 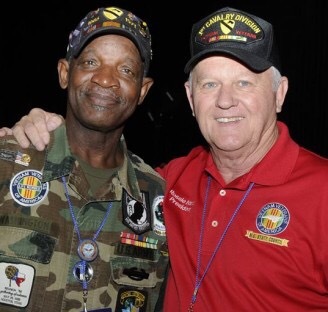 They were awarded Medals of Valor, Distinguished Flying Crosses and Purple Hearts. They served honorably. They came home quietly. When you see someone who served in Vietnam, what’s your response? Do you ponder their service and the things they saw? Do you tell them “Thanks”? This isn’t a guilt trip… but if you don’t, you should, at a minimum. As you may know, PBS put together an excellent, and mostly unbiased, documentary of the Vietnam war. It’s a 10 part series and runs over 18 hours long. It’s not something you’d want to “binge watch” like some Netflix shows these days, but it’s well worth taking some or all of it in. I’ll admit to not having watched the full series, not even really close to it, but I’ve watched enough to remember some of the history about Vietnam, the lessons it taught our military and the rift it caused in our country. In short- it was a difficult time. At the center of that difficult time were those who served in a war that most just wanted to forget about. To say that Vietnam veterans weren’t treated fairly is an extreme understatement. They served, they fought, many died and many more came home with both visible and less-than-visible scars. Back in the late 60s and early 70s, no one really knew much about post traumatic stress disorder. Back then they most certainly wouldn’t talk about it. So they didn’t. Today, when a military member returns from a high stress mission, they’re told to “talk it out”. The military does a slightly better job of dealing with the issues of PTSD today but there’s still a lot of improving that can be done. Some of this improvement is a direct response to how Vietnam veterans, and previous battled hardened veterans in general, have handled their post war stress. So, for even more reasons, Vietnam era vets have paid an additional price. 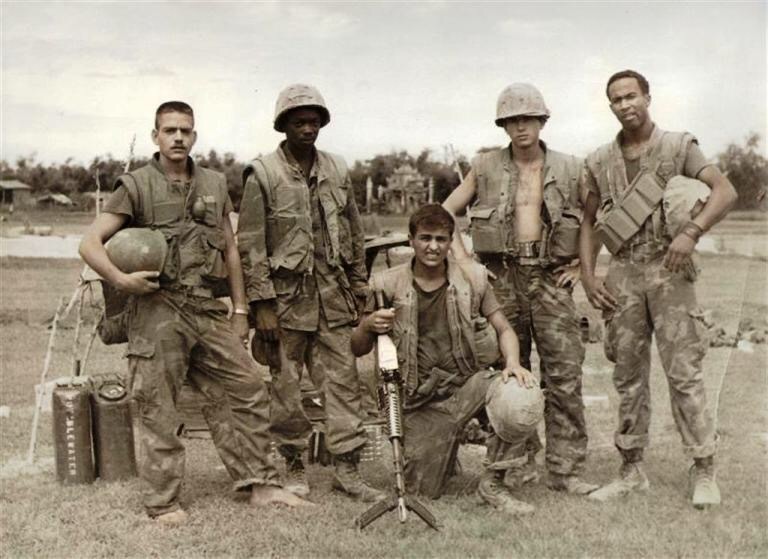 Regardless, when veterans from Vietnam came home they not only were ignored by a society that just wanted the war to end but they were also forced to essentially bury the fairly ugly part of their life that had just happened. That must not have been easy at all. So why bring that up? Because it’s not too late. Many of these wonderful men and women are in the prime of their life today. They have aged but they have managed. Most have sons and daughters with successful careers. Some of these vets are pondering retirement. Some wear baseball hats showing their service. Some don’t. So what do you do when you realize you’re in the midst of one of these truly unsung heroes of American History? I’d suggest that you not just tell them thanks. That’s a good good start… but do one better… SHOW them you’re thankful for their service. Buy their lunch. Pay for their coffee. You don’t event have to tell them you’re doing it, if you don’t want to. I’ve found it’s really fun to watch a reaction when someone realizes their meal is paid for but they don’t know who paid it! I ask that you consider doing it now because it didn’t happen when they came home. Do it now and make them smile… I promise it will make you smile, too. All veterans deserve honor and appreciation. Especially these vets, especially now. Next Next post: So this is what Glory is like.